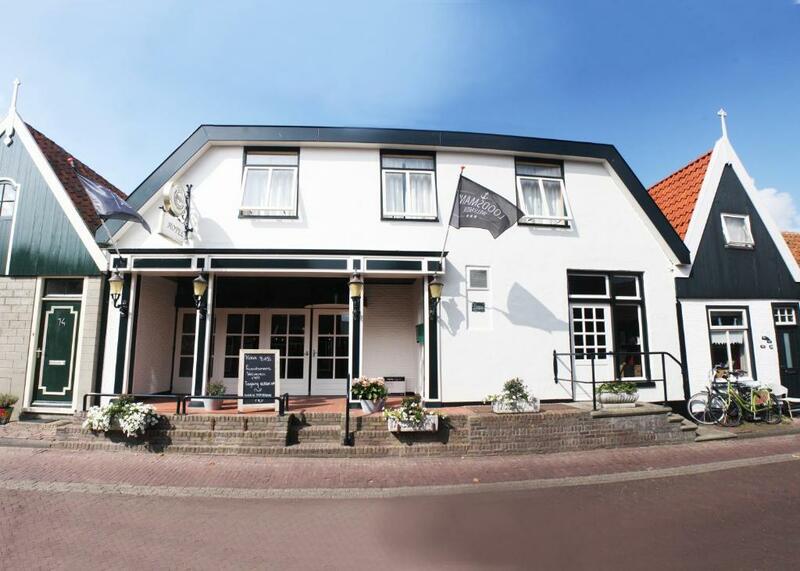 Lock in a great price for Loodsmans Welvaren – rated 8.2 by recent guests! Very nice village. Clean, cosy rooms. Good night sleep. Very good breakfast. Sauna facilities were great, you can book your own hour with your family with a nice price. Dog was welcome, too. Good location. Parking in Texel is always payimg so it is quite convenient the free of charge private parking of the hotel. They also offer the possibility to rent bikes which is the nicest way to explore the area. Lage, Zimmer modern und haben eine gute Grösse. Sehr nettes und hilfsbereites Personal. Dat we ondanks dat we super laat waren er gewoon in konden. Dat was duidelijk aangegeven. De beheerster was ook heel erg vriendelijk, had ook een speciaal ontbijt, was geen probleem! Ook tijdens het verblijf werd er geïnformeerd hoe het ging. De lokatie op zich, rustig gelegen hotel, mooie omgeving. Das Hotel ist sehr ruhig gelegen und der Service hat unsere Erwartungen übertroffen. Auch das dazu gebuchte Frühstück war gut und abwechslungsreich. Wer es rustikal mag und Antiquitäten liebt ist hier genau richtig. Der Frühstücksraum versprüht den Charme einer alten Hafenkneipe und ist urig und sehr gemütlich eingerichtet. Er stand uns auch tagsüber und abends als Aufenthaltsraum zur Verfügung. Kaffee und Tee konnten wir dort jederzeit kostenlos zu uns nehmen .Unsere Gastgeberin, hatte immer ein offenes Ohr für alle unsere Fragen und war stets aufmerksam und hilfsbereit. Tolles Ambiente, Hundefreundlich, Menschenfreundlich. Wohnen und Frühstücken in einer ehemaligen, mit Antiquitäten liebevoll dekorierten Dorfgaststätte, gelegen in einem pitoresken Dörfchen. Kurze Wege zu Dünen und Strand. Wohnen in kleinen gemütlichen Räumen mit modernem Bad. Mit zwei Hunden wäre das Zimmer im Erdgeschoss besser, sonst ist es super toll. Sehr nette Menschen und tolles Frühstück. Die Zimmer in dem Hotel sind bequem und ausreichend groß und in allem genau wie beschrieben. Besonders hervorzuheben ist der große und gemütliche Aufenthaltsraum, der immer zur Verfügung steht. Hier kann man sich auch bei schlechtem Wetter sehr wohlfühlen. Loodsmans Welvaren This rating is a reflection of how the property compares to the industry standard when it comes to price, facilities and services available. It's based on a self-evaluation by the property. Use this rating to help choose your stay! This 200-year old hotel is located in Den Hoorn, only a 15-minute walk from the edge of the Duinen van Texel National Park. 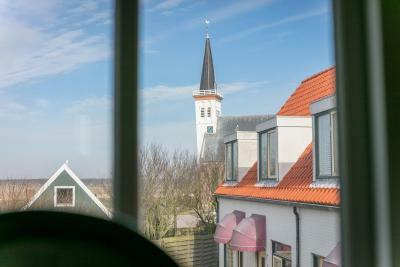 Guests at Loodsmans Welvaren benefit from the sauna and solarium. 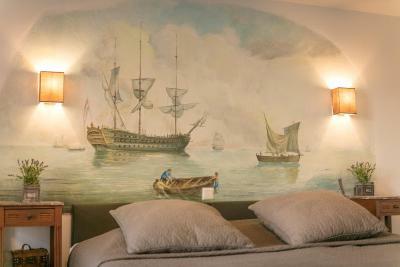 Each of the rooms and studios at Loodsmans features a unique sea-faring themed mural. They also benefit from a TV and a private bathroom with a shower. Free Wi-Fi is available in the public areas. 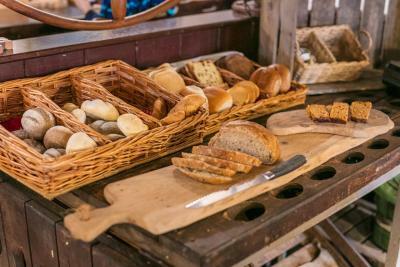 A buffet breakfast is served every morning at Welvaren. There is also a lounge where guests can relax. There is free private parking is on site and a bicycle rental service is also available. 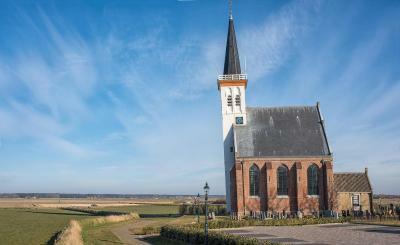 Loodsmans Welvaren is a 10-minute drive from both Den Burg and the ferry terminal to Den Helder. 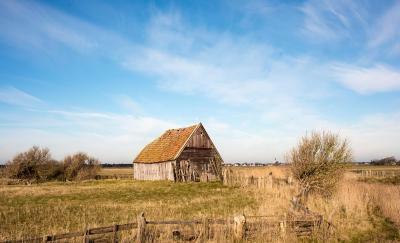 When would you like to stay at Loodsmans Welvaren? These rooms are equipped with double beds. Please note that this room type does not accommodate extra beds. This double room has an executive lounge access, seating area and private entrance. 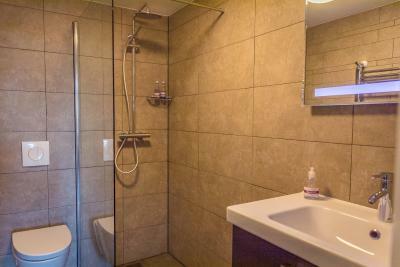 It features a spacious walk-in shower. The room and bathroom have been renovated in 2018. This triple room features a executive lounge access. House Rules Loodsmans Welvaren takes special requests – add in the next step! Debit card Loodsmans Welvaren accepts these cards and reserves the right to temporarily hold an amount prior to arrival. Extra charges apply for the hot tub, solarium and sauna. Please note that breakfast can be reserved upon check-in. Very nice staff and comfortable place to sleep. The room was old,specially the bathroom. It needs a revamp. A bit expensive for the quality of the room. Floors in the shower area of the sauna were super cold. It was difficult to get right temperature for the water from the shower there.